You can have this stove as a pure wood burner or a multi fuel stove with an ashpan and grate. Stove expert replied: A few good comments for the C6 stove. 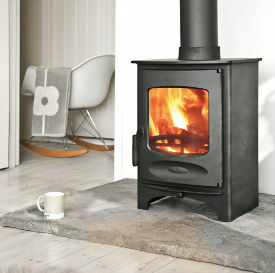 Stove expert replied: Perhaps you should get a damper on the flue so that you can control the rate of burn. Speak to your installer as if the stove is working hard all the time you may be over-firing it and this can lead to damage to the unit. 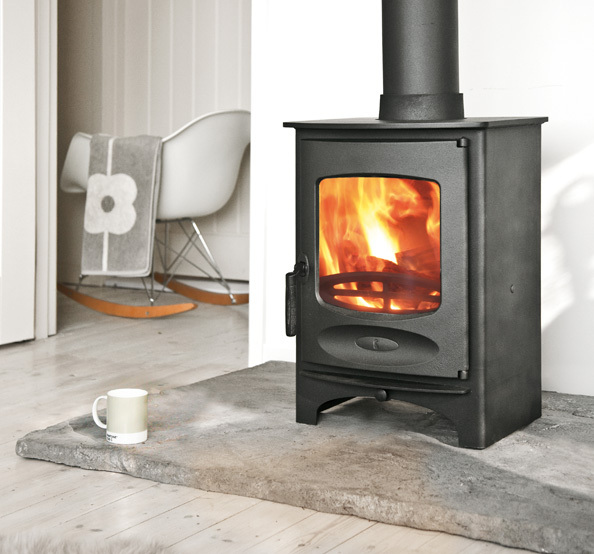 Stove expert replied: Do have a flue draw test taken as it is likely to be the cause of the problem if the stove is eating fuel without producing much heat and with little control, the flue draw is critical to know. If it exceeds the manufacturers guidance then a damper or stabilizer can be added to gain better control. This is not the fault then of the stove but down to the installation. Not nearly as controlable as I'd like. Stove expert replied: Metal internal components may fail from overfiring of the stove which should be checked out in more depth to insure future failures are prevented. Consumable items will require replacement from time to time depending on their usage.